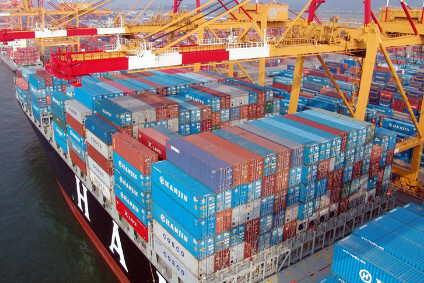 US outdoor apparel and footwear specialist Columbia Sportswear is piloting a recycling programme in partnership with Swiss textile recycling solutions firm I:Collect, joining wider industry efforts to close the loop in the clothing supply chain. 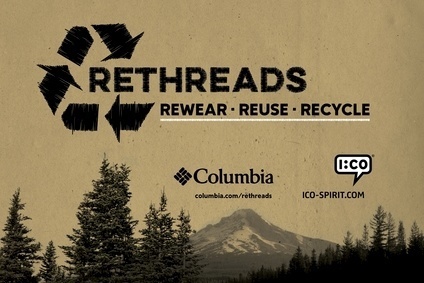 The Rethreads scheme encourages consumers to bring their used clothing and footwear from any brand to one of seven stores in Oregon, Washington and Minnesota undertaking the pilot, where they will be rewarded with 10% off a purchase of US$75 or more. Products collected will be sent to an I:CO partner processing facility where they are evaluated and sorted for re-wear, reuse or recycling. Products that are still wearable will be given to the second hand market, while those that cannot be reused are recycled into secondary raw materials for items such as fibre for new clothing. According to the US Environmental Protection Agency, currently around 85% of clothes and shoes in the US end up in the landfill, equating to around 24bn lbs of waste per year or 70 lbs of waste per person per year. “Through the Rethreads Programme, Columbia is joining the movement to significantly reduce the amount of apparel and footwear that ends up in landfills in order to help conserve our material resources, reduce our collective carbon footprint, and help renew the planet and our communities,” the company said. Earlier this year, Levi Strauss & Co unveiled it was expanding its clothing recycling initiative to all stores in the US, as part of ongoing efforts to reduce the amount of textiles that end up in landfill. The company aims to make it easier for consumers to recycle clothing and shoes, and create an infrastructure that supports a circular economy by 2020.